Mariel Brown, ‎Associate Director and Head of Trends at Seymourpowell, highlights three trends that could help consumer appliances regain their role as the pulse of the home environment. Consumer electronics are pushing the boundaries of human imagination. Yet in recent years’ consumer appliances have been struggling to keep up. Excitingly, that may be set to change as start-ups are shaking up the sector norms and established manufacturers are upping their game in response. As more people around the globe move to the city to follow work opportunities, space is becoming a precious resource. This means that the biggest ideas for consumer appliances are likely to be the smallest ones. In response the notion of modularity technology conceived in the consumer electronics sector, where products can be adjusted to grow and change along with your needs, is working its way into the consumer appliance category. 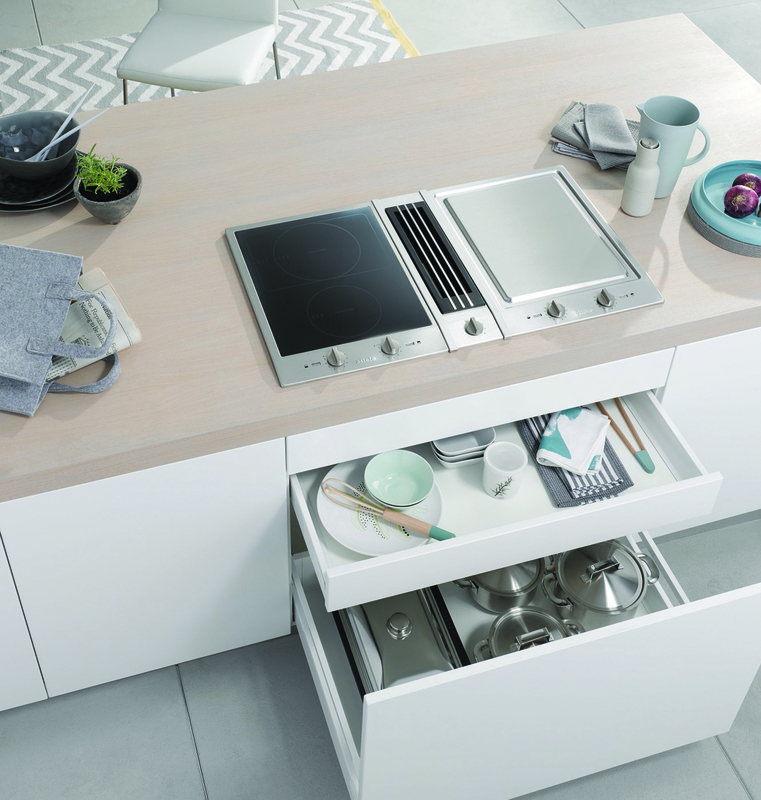 A great example of this can be seen from German manufacturer Miele who’s CombiSet Modules take into account a wide variety of cooking preferences with a pick and mix approach. 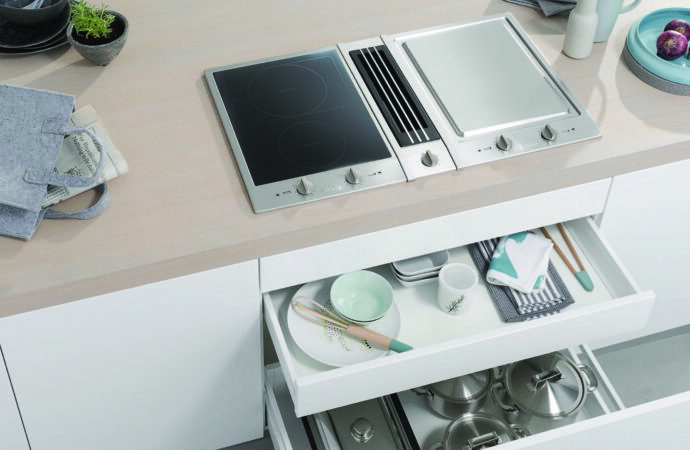 Users can choose which elements they wish to include, for example an induction hob and a griddle and they can then build up a system to suit their specific needs and available space. Smart surfaces have been a prevalent vision of the future for the last decade. Excitingly, this year we have seen numerous product releases that indicate that this concept for tomorrow is set to become a part of our today. At the Milan Furniture fair this year, Italian design studio Tipic launched their smart kitchen countertop Tulèr for Offmat. The design integrates various interactive functions including a built in set of weighing scales, and mobile charging point, and a sink that appears out of the surface. Another great example of this type of embedded thinking is Knocki. Knocki; a portable device that transforms surfaces in your environment into remote controls. Applications for the device are endless including starting your coffee maker in the morning with a tap on your bedside table through to remotely adjusting indoor climates. The notion of embedded technology could have a huge impact on consumer appliance manufacturers as many product visual paradigms are likely to shift, or in some cases even vanish all together. In recent years we have witnessed a trend for professional equipment in the home environment reaching a frenzy. For example, think of the Sous Vide machine craze. Consumers were buying into devices that allowed them to seal then steam their meat and veg to perfection over the course of up to 6 hours at a time. Refreshingly the pendulum seems to be swinging back towards improving every day activities. Instead of encouraging people to buy into products that will seldom see the light of day, manufactures are focussing on offering genuine life enhancing functionality. Samsung’s latest washing machines captures this thought wonderfully with their AddWash feature which lets users add any items that may have been accidently missed from the wash to a cycle after it has started. Equally ingenious is French manufacturing brand Flamec’s E.ion system. Housed inside their cooking hoods it releases ions into the room to neutralise odours and pollutants as they are created from cooking.